First of all this is one of the most elegant RDA on the market. Designed by Hugsvape and named Ring Lord, the HugsVape RDA takes you to another level of vaping. Furthermore, it utilizes pyrex glass cap for heating resistant effectively. It also makes it easier for you to clean it. In addition, it adopts innovative ring-shaped airflow tube. Due to that you will enjoy a smooth airflow and nice flavor as well. Another factor is that the deck is designed for single coil building. Perfect for the cloud chasers, the tornado style airflow system provides huge vapor clouds. Finally this RDA also supports bottom feeding by a squonk pin. The Hugsvape Ring Lord RDA features ring-like airflow tube above the single coil deck for easy building. 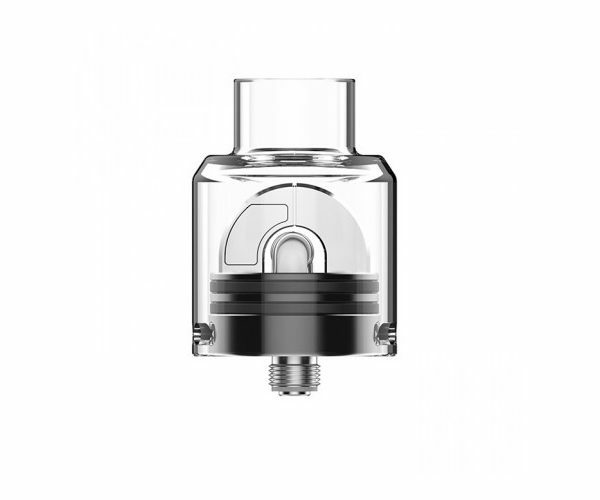 The innovative design brings unique tornado airflow to the coil.